Iron lantern in front of the state house. 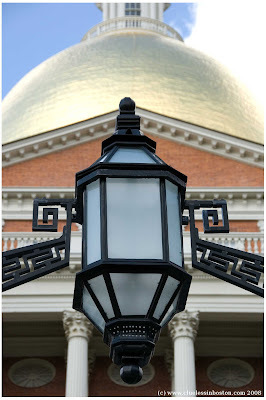 Nice picture, I like how you used the State House as the background. this is a really impressing photo! I have to say great background too! I really like your framing of this shot. A very different perspective of your Statehouse. Thanks!